Years ago, farmers were like a large family. When one needed help, neighboring families pitched in. Surrounding farmers came together to replace barns, sheds, chicken houses, and smokehouses. When a barn needed to be built and it was time for the walls to be errected, farmers gathered together to raise the heavy timbers. This was also an excuse to celebrate! The tables groaned with the weight of delicious food and desserts for everyone. 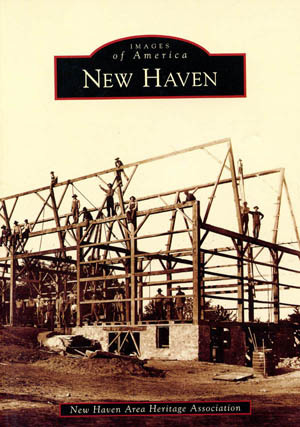 New Haven History Books are now available!